E.B. 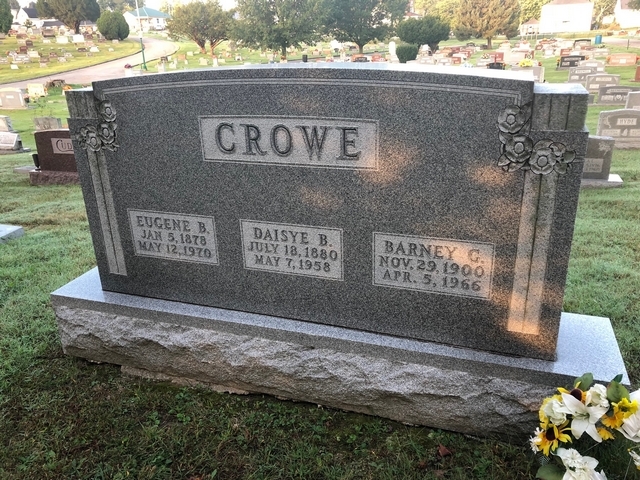 Crowe worked as a teacher, a banker, owned a retail furniture business, and sold real estate. He served as state and national delegate to Democratic conventions. Crowe was elected to serve five terms as US Representative. Returning to Bedford, he served as President of the Stone City Bank, Greystone Hotel and Director of Wabash Fire and Casualty Insurance Co.